Greaudstudio Films INC is a division of Loris Greaud / GREAUDSTUDIO company. 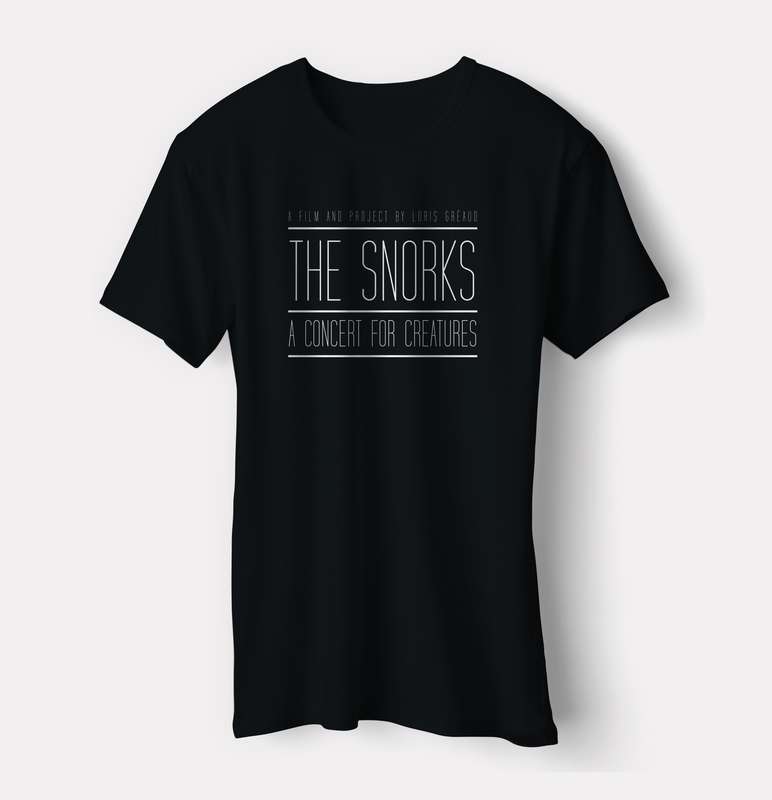 Greaudstudio Films INC has handled the executive production of the movie THE SNORKS “a concert for creatures”. This independent company is fully dedicated to Loris Greaud Films for all their production, executive, realisation and post production work. Greaudstudio films INC also collaborates with other production companies and is currently working and producing two new projects for 2013. As part of the movie, David Lynch embodies the technical narrator. Charlotte Rampling is the narrator of the movie The Snorks. Charlotte Rampling was born in Sturmer, England, in 1946. She was a model before entering films in Richard Lester’s The Knack …and How to Get It (1965), followed by roles in Georgy Girl (1966) and Luchino Visconti’s Les damnés (1969). Rampling is best known for her role in Liliana Cavani’s Portier de nuit (1974), where she played a concentration camp survivor who is reunited with the Nazi guard (Dirk Bogarde) who tortured her throughout her captivity. In 1974, she co-starred with Sean Connery in John Boorman’s science fiction adventure Zardoz (1974), with Robert Mitchum in Adieu ma jolie (1975), with Woody Allen in his Stardust Memories (1980), and with Paul Newman in Sidney Lumet’s The Verdict (1982). An actress always willing to take on bold and meaningful roles, Rampling had perhaps the most off-beat one in Nagisa Ôshima’s 1986 comedy Max mon amour (1986) as Margaret, a woman in love with a chimpanzee. Loris Gréaud is an artist who emerged onto the international art scene 10 years ago. He is known for producing long-term projects and conceptual experiences that are both curious and experimental. Gréaud’s work is fuelled by an eclectic range of exploratory fields (linguistics, music, cinema, science, engineering, architecture etc. ), which blend together to create distinctive works and experiences. Synesthetic imagination and poetic transposition are permanent features of his works, exhibitions and films. 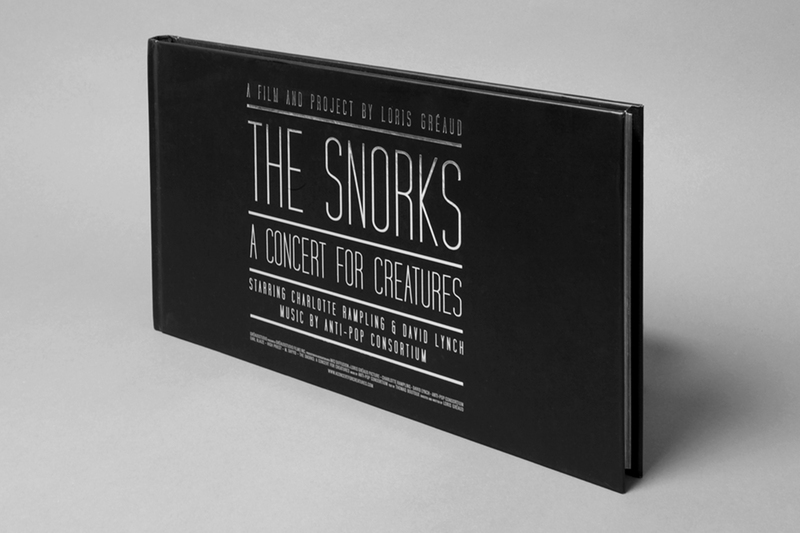 Loris Gréaud has conceived, written, produced, commissioned, orchestrated and filmed the overall ‘The Snorks: a concert for creatures’ project. MK2 will ensure the theatrical release of the movie The Snorks: a concert for creatures on French territory. Created in 1974, MK2 Diffusion commercializes MK2 catalogue on French territory (about 500 films of 30 different nationalities). MK2 Diffusion also exhibits in-house productions or films bought by the group (about 8-12 per year). 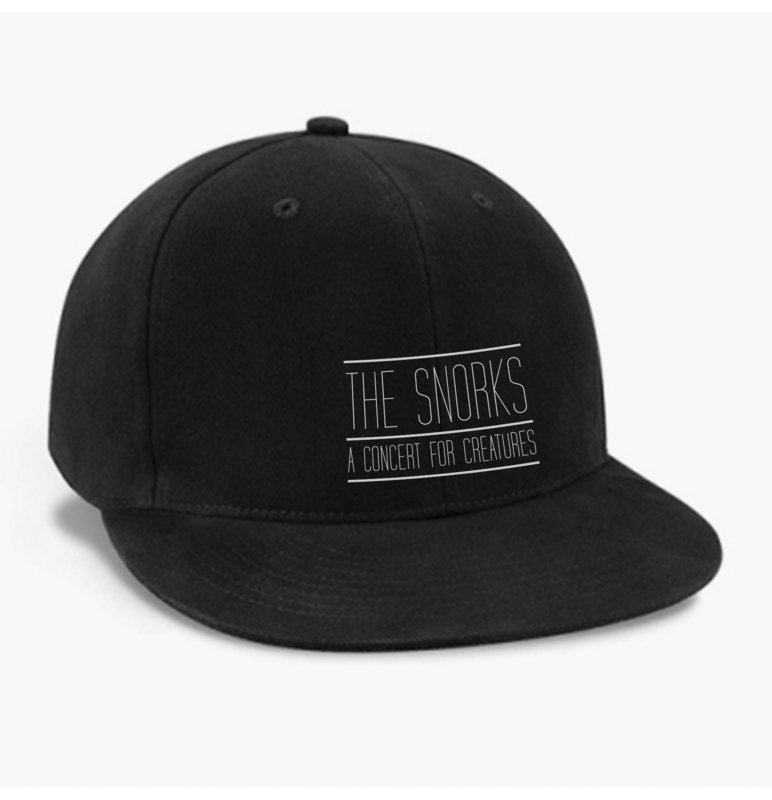 As part of the Snorks, Anti-Pop Consortium composed the original soundtrack for the movie, the concert for the creatures and will perform on stage during the Snorks Tour. Anti-Pop Consortium is an alternative hip hop group that released several tape singles and two albums. The group formed in 1997 when Beans, High Priest, M. Sayyid and producer Earl Blaize met at a poetry slam in New York City. They are often praised for their stream-of consciousness lyrics, often irreverent and featuring associative groups of words, and their ability to give seemingly unrelated word clusters hidden meaning. Their releases were met with mixed reviews from the mainstream music and underground hip-hop press alike, although they are noted for their inventiveness and the experimental electronic productions contributed by all members. Zoobook Agency is in charge of the Snorks Tour. For more than 10 years Zoobook Agency is working with Anti-Pop Consortium, pioneer of a new style of music, identified in the by press as “Abstract hip-hop” or “Avant-garde hip-hop”. As the artists it represents, Zoobook Agency is always eager to experiment, discover and extend the frontiers of music. 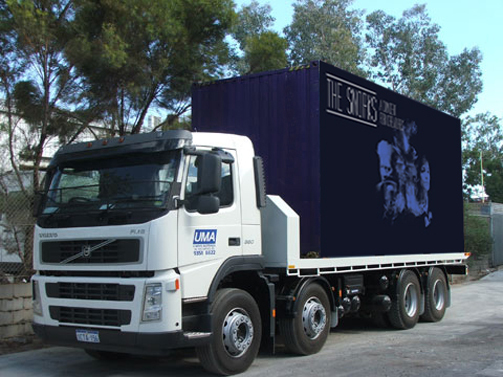 As part of the Project The Snorks, Avatar Studios hosted the recording sessions 1 and 2 of Anti-Pop Consortium music. Many artists, producers, and engineers have passed through the doors of Avatar Studios. This facility served as Madonna’s home when she recorded “Like a Virgin” and played host to luminaries including Bruce Springsteen, The Rolling Stones, David Bowie and Roxy Music. More recently, artists such as Paul McCartney, Paul Simon, John Mayer, Trey Anastasio, Muse, Peter Cincotti, Donald Fagen, Norah Jones, Diana Krall, My Morning Jacket and Dream Theater recorded their projects at Avatar. Acoustically, this is undeniably one of the great recording facilities in the world. With the addition of mastering services at our site, we can now support a project from pre-production to production ready masters all under one roof. Avatar is constantly reaching out to a wide range of artists and musical endeavors from unsigned bands, up-and-coming producers & engineers to Broadway cast albums and film scores. A combination of experienced staff and great room design make up this unique, comfortable and creative sanctuary many artists and producers come to expect when they walk through the doors of Avatar Studios. This special environment has attracted and continues to attract the cream of the crop in the music world. Thomas Boutoux is the author of the Narrator texts. Thomas Boutoux is a Paris-based writer, curator and publisher. As a writer, he has collaborated with Loris Greaud since 2004, on artworks, exhibition projects, and publications including The Eye of the Duck, Silence goes more quickly when played backward, and End Extend. As part of the Snorks, Claire Nouvian helped in conducting the concert for creatures 3000 meters below the sea level. Claire Nouvian is president and founder of the nonprofit conservation organization BLOOM, based in Paris and Hong Kong. Her research and activities focus on deep-sea fisheries and shark consumption habits. In Asia, Nouvian and BLOOM co-workers aim to improve the degraded conservation status of shark populations by ultimately making shark fin soup a socially undesirable dish. Nouvian’s approach is designed to engage corporations to act as opinion leaders in society, specifically the luxury segment of the hospitality industry, to make bans of shark dishes part of corporate policies. In Europe, Nouvian is dedicated to studying the nature of deep-sea fishing. Her work on this topic has included the organization of a press conference and “science tour” of political entities, a scientific workshop on deep-sea fisheries in an ecosystem-based context, and a legal workshop on deep-sea bottom trawling. She conducted a detailed analysis on the few remaining deep-sea fishing companies in France to reveal that despite receiving substantial public subsidies, the three main fleet owners are chronically unprofitable. While producing this analysis, Nouvian identified public aid to French fisheries as an area worthy of in-depth research and increased transparency. Before starting BLOOM, Nouvian worked in television production and journalism, specializing in wildlife and scientific documentaries. She spent an extended period filming in the jungles of Asia, Africa, and South America and eventually contracted two tropical diseases. Luckily Nouvian had already discovered a fascination with the deep sea. Her convalescence allowed her to craft a book, The Deep, published in 2006, and an exhibition of the same name, opened in 2007 at the Natural History Museum in Paris, which present the best specimens, pictures, and film clips that have been gathered by oceanographers over the past 20-25 years. 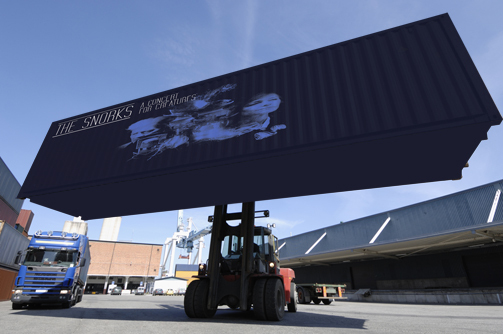 As part of the Snorks, Michel ANDRÉ has enabled the concert for creatures 3000 meters below the sea level. The Laboratory of Applied Bioacoustics (LAB) of the Technical University of Catalonia (BarcelonaTech, UPC) is leading an international programme entitled “Listen to the Deep Ocean Environment (LIDO)” to apply and extend developed techniques for passive acoustic monitoring of natural (e.g. rain, waves, earthquakes), biological (e.g. cetaceans, fishes, crustaceans) and artificial (man-made noises) sounds to cabled deep sea platforms and moored stations. LIDO constitutes the technical development support of the applied solutions that are now integrated and available for the administrations and the offshore industry (http://sonsetc.com). The LIDO software contains several independent algorithms that process real-time data streams. Among these, dedicated modules conduct noise assessment, detection, classification and localization of acoustic sources. From the acoustic data stream, LIDO characterizes and localises the detected events, produces spectrograms for live visualization and compresses audio for online access. As part of the Snorks, the Musée des Arts Forains has hosted Charlotte Rampling recording and filming. Sitting on a 1,5 hectares site, surrounded by 3,000 sq metres of paved courtyards and tree-lined streets, the site preserves a part of the city heritage in the midst of a newly developed quarter that has become “the place to be” for Parisians. The Pavillons de Bercy are a site of culture importance in France. The decor houses elements from a museum-quality collection of rare and curious objects and compose a “ living museum” with a rare display of 19th century patrimonial objects that have been set out to be enjoyed by all. The Pavillons de Bercy have been set up to handle a wide range of events : incentives, conventions, product launches, fashion shows, movie sets and shoots as well has other spectacles. Tourism Development & Investment Company (TDIC), established in 2006, is a master developer of major tourism destinations in Abu Dhabi, the largest of the seven emirates which make up the United Arab Emirates, and a key contributor to its economic and cultural progress.The company is behind some of Abu Dhabi’s most prestigious projects. These include Saadiyat Island, which will house the world’s largest single concentration of premier cultural institutions, including the Zayed National Museum, the Louvre Abu Dhabi, the Guggenheim Abu Dhabi Museum, the Performing Arts Center and Maritime Museum. Abu Dhabi Art, Talks & Sensations is a new cultural meeting conceived as a “symposium-show” by curator Fabrice Bousteau. Three hours long, the program will feature about thirty world-renowned figures mixing debated, performances, music, philosophy and video projections into a unique art experience. Roselee Goldberg commissioned the Snorks trailer: the projection on Times Square screens of the Abu Dhabi fireworks. The Edition Performa 09, the third biennial of new visual art performance, hold in New York City from November 1-22, 2009. The three-week festival featured new Performa Commissions and an exciting program of performances, exhibitions, educational forums, public art projects, publications, film screenings, and radio, Internet, and television broadcasts. Presented with a consortium of more than 60 arts institutions and a network of public and private venues across the city, Performa 09 showcased the work of more than 100 international artists, as seen from many different curatorial viewpoints, in a lively, performance-driven “festival as think tank”, a catalyst for envisioning the cultural future of New York City. François Montel designed the pyrotechnic animation on the Emirate Palace lagoon. Groupe F is a company recognized worlwilde for its ability to build popular events sit strong cultural dimension. 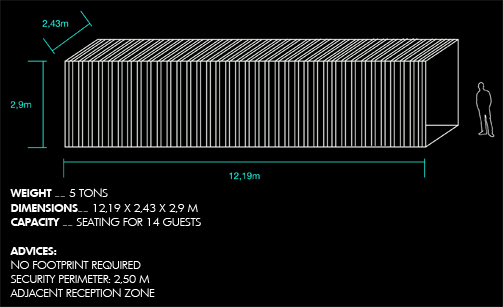 Mastery of pyrotechnics and events tools in the service of artistic content allows Groupe F to make events that receive public support. The experience of Groupe F in the field of wold events (Olympic Ceremonies, national celebrations, inaugurations) and the constant production of theatrical works for international art festivals allow the company to create the necessary link between an event with strong communication value and universally acclaimed artistic achievement. Times Square Alliance hosted the broadcast of the fireworks. The Times Square Alliance, founded in 1992, works to improve and promote Times Square – cultivating the creativity, energy and edge that have made the area an icon of entertainment, culture and urban life for over a century. In addition to providing core neighborhood services with its Public Safety Officers and Sanitation Associates, the Alliance promotes local businesses; encourages economic development and public improvements; co-coordinates numerous major events in Times Square (including the annual New Year’s Eve and Broadway on Broadway celebrations); manages the Times Square Visitor Center; and advocates on behalf of its constituents with respect to a host of public policy, planning and quality-of-life issues. The Alliance’s district covers most of the territory from 40th Street to 53rd Street between 6th and 8th Avenues, as well as Restaurant Row (46th Street between 8th and 9th Avenue). As part of the movie The Snorks, Antares is the station which enabled the broadcasting of the concert and the recording of the reaction of the bioluminescent creatures to the music. The ANTARES Collaboration is constructing a large area water Cherenkov detector in the deep Mediterranean Sea, optimised for the detection of muons from high-energy astrophysical neutrinos. It is not only a Neutrino telescope but also a deep-sea cabled observatory for sea and earth sciences. New opportunities are given to marine sciences and geosciences: listenning to mammals, bioluminescent organism observation, global change studies and its consequence on marine circulation and biodiversity. As part of The Snorks project, Mit Sea Grant College experimented the reaction of unicellular organisms to sound frequencies. The Massachusetts Institute of Technology was designated as a Sea Grant College in 1970-the first institution of higher learning to be appointed as such. Our rigorous research program, dedicated outreach programs and integrated educational projects are aimed at providing real-world solutions to coastal questions and at helping to create the coastal stewards of tomorrow. For our current implementation plan, click here. MIT Sea Grant sponsors a wide variety of marine research, through an annual funding competition open to Massachusetts university-based researchers. Our in-house research includes the work of the Autonomous Underwater Vehicle (AUV) Lab, and the Design Lab for naval architecture and systems. The MIT Sea Grant Marine Advisory Services group conducts research in marine bioinvasions, water quality, climate change, fishing communities and policy, and offers innovative, hands-on marine science education programs. 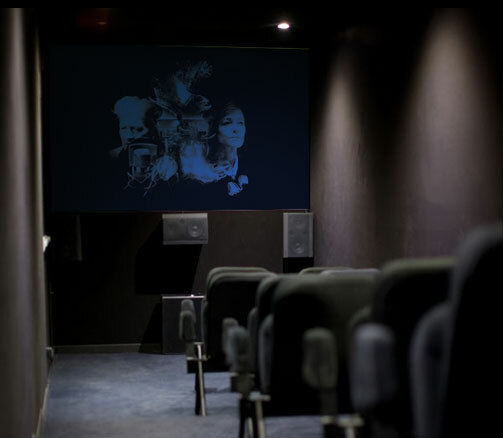 Aquarium de Paris hosted and enabled some sequences of the movies The Snorks. The aquarium is situated where the former Trocadéro Aquarium was built for the 1878 Universal Exposition. It was at that time the largest in Europe. It was closed in 1985 as the lack of upkeep resulted in a safety hazard for the visitors. The Paris Aquarium opened its doors in May 2006. The aquarium features fish species from the French coast, the Mediterranean, and the tropical waters of French overseas territories. Olivier Lukaszczyk is in charge of the post-production for the movie The Snorks. Olivier Lukaszczyk is a multi-disciplinary artist. He started as a graphic designer, working on animated films in stop motion, music and commercial videos and developed an experimental approach throughout compositing. At the same time, he conceived sound environments for exhibitions which took place in La Verrière, Espace Vuitton in Bruxelles, Kagami in Paris, Le Transpalette Centre d’Art Contemporain in Bourges. He also composed original soundtracks for movies like Les Sept Saisons sur Cécile Bart and has been the co-director of art videos with contemporary artists include Franck Scurti, Christian Robert Tissot and more recently Eric Duyckaerts for his exhibition in Mac/Val. Olivier Lukaszczyk regularly works with Loris Gréaud since 1999. Thomas Bonneau is in charge of the sound-design and the audio mixing of the movie. Thomas Bonneau is an audio engineer, sound designer and music composer. Established in Paris, since 2006 he works with brands, production and postproduction companies, with music and multi-disciplinary artists on short or long-term projects. Television, cinema, radio, albums, so many fields of activity that have their own rules and their own codes, that permit to diversify works, methods and objectives and so start each project with a brand new vision. As part of the project The Snorks, Minsk Studio developed the web-based platform and the graphic design. As part of the movie, the members of NWMA shot the last performance of Anti-Pop Consortium in La Gaîté Lyrique. NWMA is a video making crew based in Paris, dealing with music, art and urban cultures. The Pace Gallery represents Loris Greaud artworks in New York, London and Pekin. The Pace Gallery was founded by Arne Glimcher in Boston in 1960. Three years later, the gallery relocated to New York, setting up its headquarters in Midtown Manhattan. By the early 1980s, Pace was fully established as one of the city’s premier modern and contemporary art venues for painting, sculpture, video, and installation art. Over the years, Pace’s stable has grown to include major international artists and estates of the 20th and 21st centuries. The gallery has mounted nearly 700 exhibitions, including several scholarly shows that have traveled to museums, and has published more than 300 exhibition catalogs. The gallery Yvon Lambert represents Loris Greaud artworks in Paris. In 1986 he moved again to the magnificent glass-roofed space on rue Vieille du Temple where he affirmed strong relationships with artists including Nan Goldin, Jenny Holzer, Anselm Kiefer, Douglas Gordon, Bertrand Lavier, Loris Gréaud amongst others. Since 2000, Yvon Lambert presents his prestigious collection in Avignon with more than 500 art works. Eminent gallerist, avid collector, Yvon Lambert also nourishes his passion for books. Since 1992 he has been editing special limited edition books with artists such as Louise Bourgeois, Jenny Holzer, Richard Tuttle, Giulio Paolini, Anselm Kiefer, On Kawara. THE SNORKS TOUR is an immense plunge into the world of the abyss. Initiated in 2009 by conceptual artist, Loris Greaud, it is a kind of fictional extension of “The Snorks” project and a musical cosmic epic 5000 metres below sea level. Fascinated by the discovery of bioluminescence, Loris Greaud has jumped feet first into this luminous alternative system of communication, in order to unearth what is today described as an epic backward tale of the exploration of the universe. “The Snorks” has been thought of as a spatiotemporal capsule in which the possibility of “alien communication” is constantly being hatched and replayed. This concept is driven by the abstract hip-hop of Anti-Pop Consortium, the extreme explorations of the Antares deep-sea station, and research by MIT Sea Grant College. With fireworks displays followed by hallucinogenic projections on the screens of Times Square, followed by live music specifically composed for deep-sea creatures, the project has turned out to be in a state of constant evolution. Over 36 months, the Snorks phenomenon has travelled all over the world, from Abu Dhabi to Paris via Los Angeles, Boston, New York and Hawaï. It has been in the air and over and through the ocean, bringing on board a plethora of experts, authors, artists and other collaborators who endeavor to meet the project’s demands and obsessions. The Snorks saga is now re-emerging through an innovative format: the projection of a retrospective film followed by a live performance by Anti-Pop Consortium. Creating an authentic “pop-up book” experience, the group will take to the stage at the closing credits to perform music that has been specially produced for the deep-sea creatures – the original soundtrack of a project beyond description. With exclusive concerts designed for the “intraterrestrial” alien population, the Snorks Tour will take place in select locations for a limited period. Join the tour, “A concert for creatures” and embark upon an enigmatic voyage to where reality has caught up with fiction!